Upland southwest China and northern Vietnam are home to over 80 million individuals from diverse ethnic minority groups, many of whom create semi-subsistence livelihoods based on staple crops such as rice, maize, and cassava. Non-timber forest products and local livestock are important additional livelihood components. 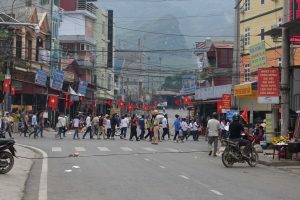 In turn, the socialist states of China and Vietnam are encouraging modernization approaches that have ignored the everyday realities of ethnic minorities living in upland, geographically remote and economically marginalized regions. Small-scale upland farmers with fixed landholdings are facing increasing land-use constraints and climatic extremes with less and less room for manoeuvre. The goal of this project is to initiate a long term comparative research programme investigating the ability of ethnic minorities in the China-Vietnam borderlands to form sustainable, food secure livelihoods in the context of modernization and increasing climate variability. 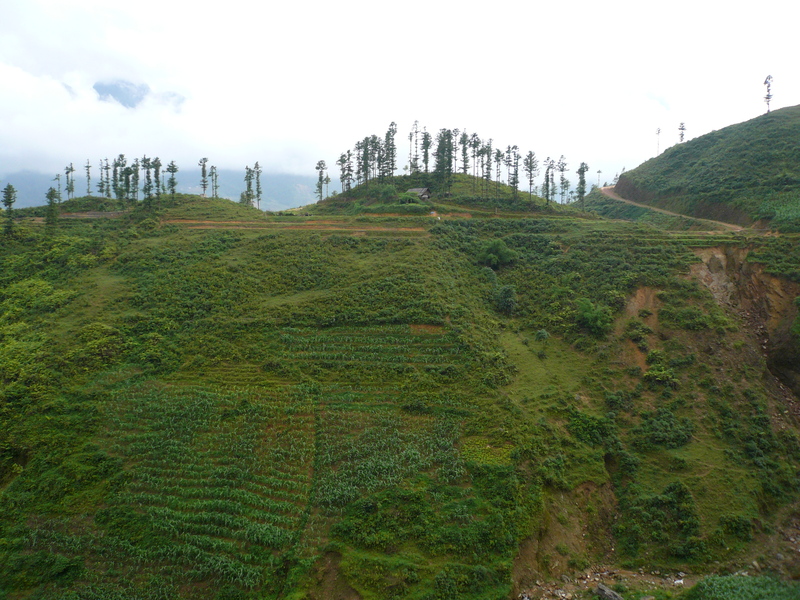 This project incorporates research into cross-border trade and livelihood dynamics across the southeast Yunnan-northern Vietnam border. 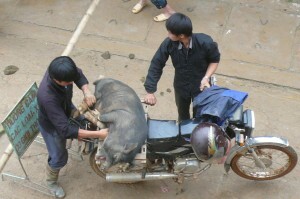 We are currently focused on the Vietnam provinces of Lào Cai, Lai Châu, Điện Biên, and Hà Giang, and the Yunnan prefectures of Honghe and Wenshan. The team aims to better understand how transnational ethnic minority residents achieve cross-border trading livelihoods, while negotiating the political implications of an international border. Drawing on conceptual literature from livelihood studies, marketplace investigations, commodity flow analyses, and borderland debates, we focus on the importance of the place-based knowledge of border residents, recognizing that their local wisdom and experiences often reflect very down-to-earth ways of negotiating borders and state policies. 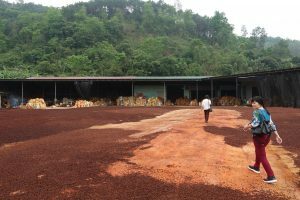 The aim of this research is to investigate the ability of ethnic minorities in northern upland Vietnam and southeast Yunnan (and possibly beyond) to achieve sustainable livelihoods while being linked into international commodity chains for high value non-timber forest products, such as spices. A research team of collaborators and graduate students is examining these processes, focusing on the array of actors, financial rewards, and ethnic disparities, in the context of state supported modernization projects, and increasing land scarcity and climate variability. A group of collaborators and graduate students are investigating the growth patterns and dynamics of small cities/towns and the implications on local populations’ quality of life and livelihoods in upland northern Vietnam. We are currently focusing on three rapidly transforming provinces in the Sino-Vietnamese borderlands – Lào Cai, Hà Giang, and Cao Bằng. To advance understandings of such urban transformations occurring in upland Asia, this project builds on and extends literature on small cities in the Global South, upland urban migration and ethnic dynamics in Vietnam, and Vietnam’s urbanization policies. A group of us are undertaking research examining environmental decision making and land use, land cover change (LULCC) in the northern highlands amongst a number of ethnic minority groups. 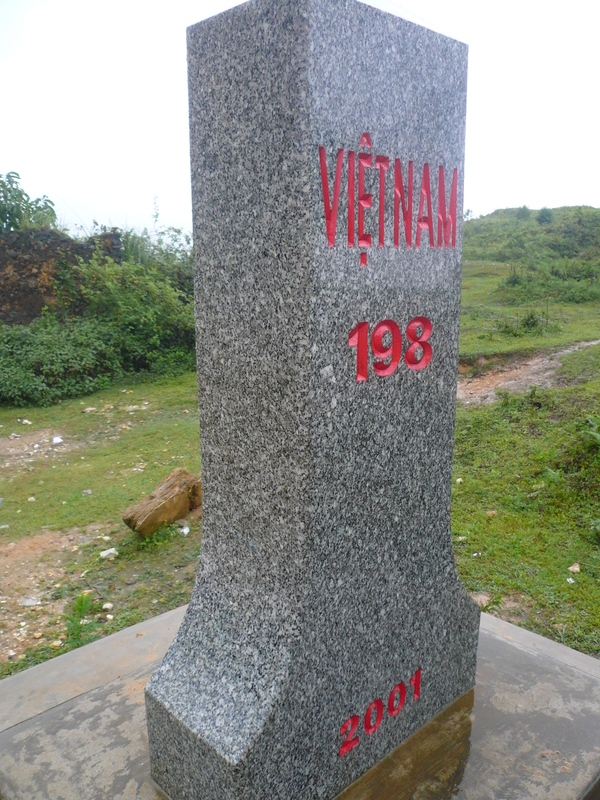 This research attempts to advance our understandings of culturally based conceptualisations and practices towards the use and protection of the environment in northern Vietnam. This is a region whose natural environment profoundly impacts on the lowland delta plains where millions of people live. This research is working to develop our understanding of the traditional knowledges and practices of these highlanders and how these can be put to use in the protection of the environment, and to help the Vietnam State design appropriate, sustainable upland policies.